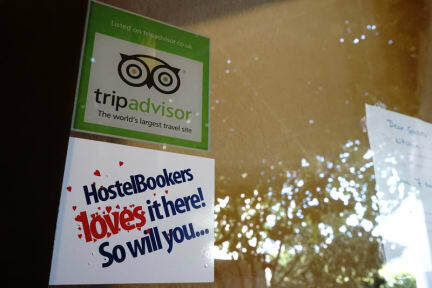 Simplesmente o melhor Hostel que já fui na vida e na Europa. O dono, Dinks, e toda galera que trabalha lá faz você se sentir em casa! Quartos grandes, arrumados, limpos, com ar condicionado que não te congela mas não te derrete, estrutura simples mas eficiente, com Dinks e funcionários cheios de dicas, ajudas e facilidades para oferecer. Publico jovem, mas que não alopra e zoa sem limites. O Hostel impõe que não tenha barulho depois das 11h e a galera respeita! Dink's Place is probably the hostel that EVERYONE should stay once in a life. Best Staff's (Including Dink's itself, he's such a great guy). The hostel's always focused in keeping their guests happy, and it includes some great bedroom's, with one bathroom and one restroom, for example, and place to charge mobile in every single bed. As Hvar is an small island, you're always near everything, is just a matter to locate yourself. I RLLY recommend Dink's Place! Best hostel I've stayed ever! 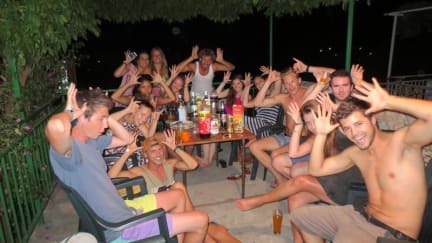 Dinko is an amazing host, the hostel has a great vibe and we made great friends. Both Dinko and the recepcionist provided us with amazing tips to make the most out of our stay, wether for day plans or nightlife. Will be back! The hostel is great!! Very well located, the staff are very helpful, it’s very clean. There is a kitchen where you can make your meals and talk to other guests. The only sugest is to add some helpful tags inside the box where we take shower. Thank you I had a great days!! We had a great time at Dink's. The staff is incredible, good rooms, great localization for a price that is Fair( we went there in the summer, so every place is quite expensive) Totally recomend this to anyone going to Hvar! Hostel perfeito para quem quiser interagir e ser extremamente bem acolhido. O staff é incrivelmente legal e disposto a te ajudar. Ficaria de novo com toda certeza. Fui muito bem recebida por todos! Não somente pela equipe que trabalha no hostel, mas todos os hóspedes também são muito educados e abertos para fazer novas amizades! Só tenho boas recordações do Dinks, e eu recomendo porque foi ótimo! Eles estavam disponíveis 24h para resolver qualquer coisa. Realmente me senti em casa, foi muito bom!!! The hostel is not far away from The city center, but you can find closer options. There was no air conditioning and the owner of the place wasn't helpful to solve our Sauna problem (34 degrees with 8 people in the room and some of them using hair dryer). We had to ask for a fan which took sometime to come. It wasnt a good experience at all.